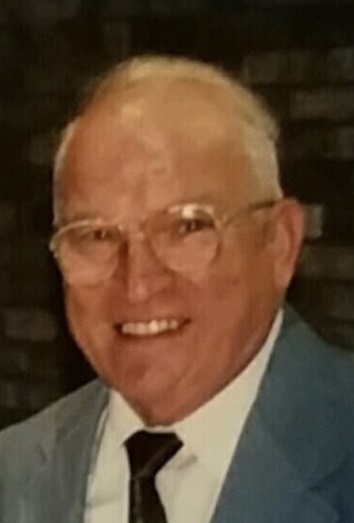 Albany - John Salvatore Costa of Loudonville born on December 22, 1927 in Cardinale, Catanzaro, Italy to the late Carmela Apa and the late Giuseppe Costa passed away peacefully on Friday January 25, 2019 in Colonie at the age of 91 with family by his side. He was predeceased by his older sister Elisa Patella and brother Bruno Costa. At the age of 24, John migrated to Toronto, Canada where he worked several years as a barber and textile worker. In 1955, he wed the love of his life Catherine “Kay” (DeFazio) Costa of Troy and relocated to Troy in 1957. They were married for 49 years before Kay’s passing in 2004. John worked as a dedicated master carpenter and superintendent of grounds for 35 years for Russell Sage College. He was a longtime SEIU union member and local treasurer until retiring in 1992. John was admired and respected by all who knew him for his unmatched work ethic and his easy -going personality. John was an avid member and long- time supporter of the Italian Community Center in South Troy, N.Y. where he was seen playing bocce and volunteering at bingo and various events. Other hobbies included remodeling, woodworking and Brindisi (Italian toasting song). He enjoyed spending as much time with his family at his summer home that he built on Taconic Lake in Grafton, New York. He will be remembered and admired by his unwavering love and devotion to his family. He impacted so many people in a wonderful way. He is survived by his sister Stella Cristello, brothers Sebastian Costa and Sam Costa of Toronto, Canada. Loving dad of four children, son, Joe Costa (Loraine)of Old Saybrook, CT., three daughters Christina Daley of Loudonville, Carol Mull (Rich) of East Greenbush, Joann Johnson (Frank) of Naugatuck, CT; eight grandchildren; Casey and Katie Costa, John, Jeff and Christian Daley, Katelyn Mull, Matthew and Eric Johnson. He is also survived by many nieces and nephews of Canada and U.S.A.
Dr. Anthony Cagino, Landmark, Peregrine Living and their staff. Friends and family can pay their respects on Friday, February 1st from 4:00-7:00 pm at McLoughlin & Mason Funeral Home 8 109th Street, Troy, New York, 12182. Funeral Mass will be held at 10:00 am on Saturday, February 2nd at St.Pius X Church, 23 Crumite Rd. Loudonville, NY 12211 officiated by Father Walsh, Burial will be at St. Mary’s cemetery in Troy, N.Y. Please visit www.mcloughlinmason.com.